Dedicated to helping victims secure full and fair compensation when they suffer due to another party's negligence or an insurance company's refusal to honor its obligations. From the moment you walk through our door, you will know you have chosen a firm whose only concern is to see that your interests are fully protected. 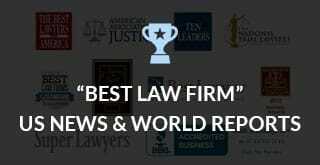 Our entire legal team, from the person who greets you upon your arrival to the attorney who represents you, is equally committed to securing the best outcome available. We tirelessly pursue every option in order to obtain the compensation you deserve. 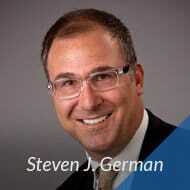 Steve German, A Law Firm, is known for our team approach. We draw on the expansive experience of our attorneys and support team to develop strategic solutions to all types of personal injury, wrongful death and product liability claims. We are your advocates, and we enlist the talents of attorneys, experts and staff to present the most compelling case in support of your claim. We invite you to contact our Scottsdale, Arizona, office to discuss your legal needs with a lawyer. We offer a free initial consultation to all new clients where you can get answers to your questions and learn more about how we can help you.